STEP Internship in Washington D.C. This last semester I spent my time participating in the Washington Academic Internship Program through the John Glenn College. I went and lived in Washington D.C. throughout this semester and had the privilege to intern with Senator Richard Durbin from Illinois. Getting to work within the Capital was an honor and my job was to help the office to run as best as I could. This process of living in D.C. and working around so many of my professional heroes was really transformative. It was because of STEP and it’s funding I was able to afford this great opportunity. This experience was so important in showing me just what parts of life are the most important to me. While some grew to love living in Washington D.C. or the adventure of a new place, I found myself homesick as I was surrounded with coworkers from my home state. It served as a reminder of my love for my home state and taught me just how important it is for me to go there after graduation. Learning that about myself has already had huge impacts on my career aspirations and the path I should take. This realization of my love of home will be vital in my future developments post-graduation for The Ohio State University. One of the most significant interactions I had during my time in D.C. was my daily interactions with coworkers. Including both my fellow interns and the staff throughout the office. What these interaction showed me was how much people from my own supported one another. There was a central feeling of belonging I had missed in many of my interactions in Ohio. My interactions with these coworkers showed to me that there were others who cared and would support people from my home state and how important that state was within the nation. To be somewhere that mattered didn’t mean to leave home, but it meant I could do both and that real opportunities existed outside of the coasts of the country. The students throughout my program from The Ohio State University, WAIPers as we called ourselves, were some of the greatest parts of this program. They were smart and constantly kind to me and one another. They proved to me that it doesn’t require cynical networking and manipulation to get ahead, instead each of them showed how you can get ahead in life by being a good person and showing your coworkers of your potential through hard work. They were kind and worked as a team to help each of us cope with the many changes of moving to a new city and living in a new situation. Seeing all of my heroes of politics each day in my workplace gave me a new perspective on what it means to work in Washington D.C. Many figures, such as Bernie Sanders, Cory Booker, and Kamala Harris have become icons of mine. Seeing these figures so regularly was awe inspiring at first. With time however, I developed a new perspective of working in the same place. I saw how normal of a workplace it really was. Senators made jokes with one another, coworkers had meetings, and people gossiped about local parties and events. What so often seems like a workplace of chaos turned out to be far more normal than I had expected. These things I learned during my time in Washington D.C. have already had impacts on my career developments and the plans I have made for the future. Knowing just how important home is to me will have lasting impacts on my career and plans post-graduation. Most immediately I have gone out of my way to find internships and jobs within Illinois for my summer plans and to discuss my new developments in interviews regarding those positions. The opportunity given to me by STEP and the Washington Academic Internship Program will remain vital to my development and the lessons learned will impact me for decades to come. 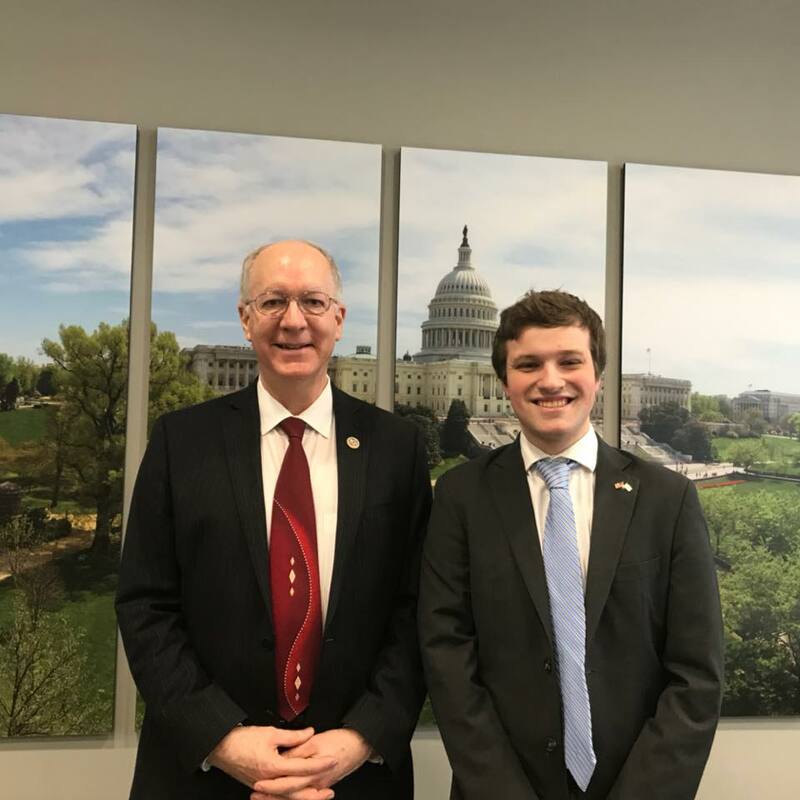 This semester, I had the opportunity to participate in the Washington Academic Internship Program (WAIP) through the John Glenn College of Public Affairs. This program enabled me to obtain a position as a Policy Fellow with Battelle Memorial Institute’s Office of Government Relations. Battelle is a non-profit organization that manages several of the national laboratories within the Department of Energy and the Department of Homeland Security. The organization’s mission is focused on using innovation to develop solutions for marginalized communities, and its philanthropic focus is on fostering STEM education initiatives. Interestingly, Battelle’s headquarters is based in Columbus, Ohio, which is my hometown. I enjoyed working in a government relations office and I am so appreciative of the opportunity. I learned so much this semester, not only regarding the subject matter of interest to Battelle, but also about my ability to work as a young professional. Participating in this project enabled me to learn so much about myself and what my life after graduation will be like. I had time to rethink my commitment to going straight to law school after my time at Ohio State, and I made some amazing friends along the way. This semester showed me how many professional opportunities exist in the world, and that it is okay to be unsure of the correct path to take. This confusion led me to believe that I needed to stay in Washington DC again for the summer. So, I took a chance and put down a lump sum payment on an apartment for the summer before finding a job! Long story short, everything worked out and I ended up getting a summer position that is perfect for me. However, without my experience in the spring I never would have had the courage to bet on myself, and to believe in my own abilities and qualifications. The relationships I made this semester greatly contributed to this transformation; I met some of the most amazing people in DC. Battelle’s Office of Government Relations is very small; I only had one supervisor who I reported to directly, and three other staff members that I worked with on a daily basis. This was great because I was able to learn from several people, especially since Battelle has such broad interests. Furthermore, I got to know the subject matter of each staffer in my office, which was fascinating. Getting to know my supervisor was phenomenal! He actually participated in WAIP a few years ago and was very understanding of my commitments and encouraged me to take every opportunity that came my way. He was also always sure to introduce me as his ‘colleague’ at events and made sure to give positive feedback when it was deserved. It is very clear that he wanted to help me this semester and I am really lucky to have had a supervisor who trusted me with important, independent work. Furthermore, WAIP gave me a mentor and a program manager who were integral to my success throughout spring semester. The projects I was given at my internship were key to my learning that I needed to come back to Washington DC for the summer and that I wanted to put off law school after graduation to work DC again. I had the opportunity to do some really cool things through my internship with Battelle. Every day, I sent out daily news clips to the office. This sounds like a menial task, but it has actually enabled me to learn so much about the experiments and breakthroughs happening at the national labs. Reading daily google alerts also helped me to better define the role of Battelle in the Columbus community. My role has allowed me to research and monitor the effects of pending legislation on issue areas of interest to Battelle, and to draft succinct reports on congressional hearings covering subjects specific to my superiors’ projects. Working within a government relations office has underscored the importance of editing my own work; I have discovered just how important the ability to write well is in a professional setting. I was tasked with daily projects of reviewing transcripts, researching technologies, and writing reports on hearings and briefings. However, I also worked on more long-term assignments. I personally tracked the locations of the Department of Energy’s Nuclear Physics programs across the United States; let me tell you there are a TON. I compiled this information in relation to Congressional districts and members, and my work was used during Battelle’s Nuclear Physics Day. This lobbying day was planned before I began my internship, but my work was used in meetings with congressional members and their staffers. Additionally, as a non-profit organization, Battelle’s philanthropic mission is focused on increasing youth access to STEM education, and I was fortunate to be a part of a coalition meeting discussing Battelle’s continued advocacy under the current administration. These experiences made me much more confident in my ability to work in an office setting and let me know that the transferable skills of my degree at Ohio State will truly be of use to my future career. I would not have had the same experience without participating in WAIP. I have lived in Columbus, Ohio for my entire life. Moving to DC for a semester, especially in the middle of the school year, was a huge commitment for me. I had to leave my family, friends, job, and student organizations (that I had grown so comfortable with) behind in my transition into interning in DC, and this was a scary process. However, knowing that 17 other Ohio State students were also participating in the same program and were feeling the same emotions really comforted me. I ended up having three other roommates and we became best friends. They each encouraged me to make the most out of each day in the district and helped me to get out of the apartment and explore the city. None of my accomplishments would have been possible without them. I am so thankful that STEP gave me the opportunity to make this experience possible. This project enabled me to understand who I really am! I learned to open myself up to new experiences and I was also able to take a full course-load outside of my double major of International Studies and Chinese. The Public Policy classes gave me a platform to write my own policy recommendation on the ability of the federal government to lessen the effects of childhood hunger and enabled me to debate different issues with my classmates. I learned that I am actually interested in domestic affairs as well as international ones! This experience showed me that after graduation I want to return to DC to live and work, and I could not be more excited. This internship experience was a multi-faceted one. Not only was I able to assist with the strategic development and execution of marketing for the OSU Department of Social Change, but I was also able to use the photographs and video footage I collected to further the development of my own photography business. At the same time, I was given the opportunity to make a difference in the Columbus community by promoting the programs and events of this Student Life Department. The transformation that came about as a result of my STEP Signature Project was not what I initially expected. Since my internship was a new one within the department, I was essentially given the opportunity to define my own role. This took a great deal of communication, planning, and critical thinking on my part, and it led me to realize my own need for structure and clear communication in the workplace. I also realized how much I appreciate having control in my work, and I was able to see the importance of delegating tasks to others in a team rather than taking all of the work on myself. As part of defining my own role, I was able to visit a number of Social Change sites throughout the year, and these visits exposed me to the vulnerable populations in my own city. I realized that I had been holding a view of these individuals that was not grounded on solid personal experiences with them. Working with and photographing people of all ages in these low-income settings opened my eyes and taught me a fundamental truth about the world—we as humans have more similarities than differences, and oftentimes we are just in need of different resources. I will treasure the interactions I had throughout the year and bring what I now understand about these populations into my work as an educator, as well. As part of my internship, I was able to work with an entire staff of inspiring individuals with the same goal in mind—to make a difference the Columbus community. It was amazing to work with them, but it also required a lot of communication through a variety of means in order to get my work accomplished. Since I was not a traditional “site leader,” I had to request access from many of the other Ambassadors when I needed to visit their sites, gather time and date information, and make sure the information I obtained was accurate. There were a lot of moving parts, so I appreciated having a partner to help me balance everything. My co-intern, Kylie, and I divided up the work evenly—social media became her domain, while photography and videography was mine. Keeping in communication with her as well as my supervisor allowed both of us the chance to be successful in our positions. I learned a great deal about leadership, especially my own leadership style, from the professional development workshops I attended through Student Life, as well. I attended workshops on networking and leadership skills, which allowed me to connect with other young professionals in the department and helped me learn more about myself as an emerging leader. These workshops impacted me greatly and not only provided me with skills to bring into my work as an Ambassador but also set me on the course for success in my future workplaces. My interactions with marketing and photography professionals throughout this year have proven beneficial to my learning in these areas, as well. For instance, as a result of my collaborations with University administrators, I am better able to grasp more advanced marketing and photographic procedures and styles that I can now take into my work with my own business. In addition, I was able to learn a great deal from the staff members at Midwest Photo Exchange, where I rented and purchased my photography equipment. These interactions not only made me excited for my potential career in photography but also provided me with essential skills that will aid me in making my dream a reality. Finally, this project changed my view on the world, especially low-income populations, through a number of my interactions. From dancing with preschoolers and decorating shirts with younger students to interviewing middle school children and college volunteers alike, I was able to interact with a wide variety of people from different situations and stages of life. These experiences will prove valuable to me as I begin teaching in low-income areas, as they have allowed me to look past any previous biases I may have held and see these students for who they are so I can better educate, support, and advocate for them in the future. These transformations that took place as a result of my STEP Signature Project will prove valuable to my future as a professional in a number of ways. First, the experiences I have had as a Social Change Ambassador will influence how I approach my teaching when I become a high school math teacher in a low-income area after graduation. I now have a more holistic view of individuals from these areas and the potential of these students, and this will only help me more as I begin my time as a teacher. Second, these transformations will impact my other professional pursuit as a photographer by providing me with valuable artistic and marketing knowledge as well as business and leadership skills that I can take with me into the workplace. By creating my portfolio and business cards as well as purchasing business attire and photography equipment, I will now be able to take a solid step into the professional world, and that is a transformation all its own. Below are two links, one of which is the video I created for the Day of Giving marketing project with Student Life and the other is a photograph of my Social Change staff, one of the first photos I took as an intern. My STEP Signature Project entailed working as a Co-op for the A/C Quality Department at Emerson Climate Technologies in Sidney, Ohio. This project allowed me to cultivate and grow many of the skills that I have been working on since arriving on campus. A couple of my main responsibilities while at the company were performing data analysis, creating customer warranty reports, and writing Standard Operating Procedures. I performed a large amount of data collection and analysis during my spring term, as one of the many projects I worked on involved analyzing the different return reasons the company was seeing on different compressors, and how we could look to improve upon that. Creating Customer Warranty Updates was another large responsibility of mine, as it entailed creating useful charts and graphs of data, that would be used by my supervisor at quarterly meetings with the customer. 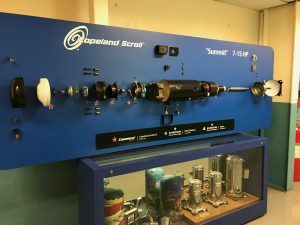 Writing Standard Operating Procedures was another key task of mine, as it involved becoming familiar with some of the key processes that the Quality department dealt with, including running a Gage R&R on a new type of refrigerant they were developing. These projects all contributed to help me come to a better understanding of who I am, as well as the corporate world around me. Throughout my term working at Emerson, it really gave me the chance to step back and really consider what I enjoy to do, and where I want my career to take me after I graduate from Ohio State. I learned a lot about myself during my time there, and I also learned what I really need to improve upon to reach my full potential. When I first started my term, I was unsure of how to approach different people in the workplace, as well as how to give professional presentations. This is a skill I found I needed to develop, as I realized I had not looked to gain leadership positions to cultivate these skills throughout my time at Ohio State. Throughout the term I found what works best for me when presenting, as well as how to best approach different co-workers for help or for various tasks or assignments. Throughout my term, I also found that I missed programming, and the related math classes that I had been taking at Ohio State, and realized that is something that I would want to work with at a job in the future. This helped me to make the necessary changes to my curriculum, adding a minor in Computer Information Science so that I can strive to have my future career be as enjoyable and fulfilling as possible. I think that many of my assumptions were changed throughout my time at Emerson. I learned a lot about company communication and policies throughout my time at the company. One thing I found out quickly was that in anything you do, you want to be as succinct and to the point as possible, whether it is an email or presentation that is being completed. Many people at a company are very busy with their own work on a daily basis, so including extra information in an email or presentation can be detrimental to them getting their work done, and ultimately is time wasted on your part, as they may choose not to read through it anyway. I think another of my assumptions about how a production facility works were changed as well. I had never considered the dynamic between engineers, the quality department, lab technicians, factory employees, and upper management, but I got to learn just how all those relationships work together firsthand during my time there. With it being such a large operation, I learned that many of the lab technicians would report to the head of the lab, who would then bring his findings to the quality department, where they would discuss with engineers how to solve this issue. This being just one example of a working dynamic at Emerson, I gained a large deal of knowledge on the working relationships at the company. While I gained a great deal of knowledge at Emerson, the relationships that I formed and places I was able to travel to were more beneficial than anything else during my time there. 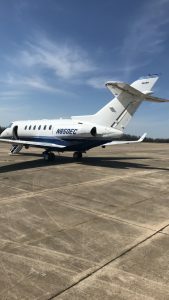 One event that overshadowed any other that I completed throughout my time at the company was the opportunity that I received to fly on a private company jet out to Lebanon Missouri. 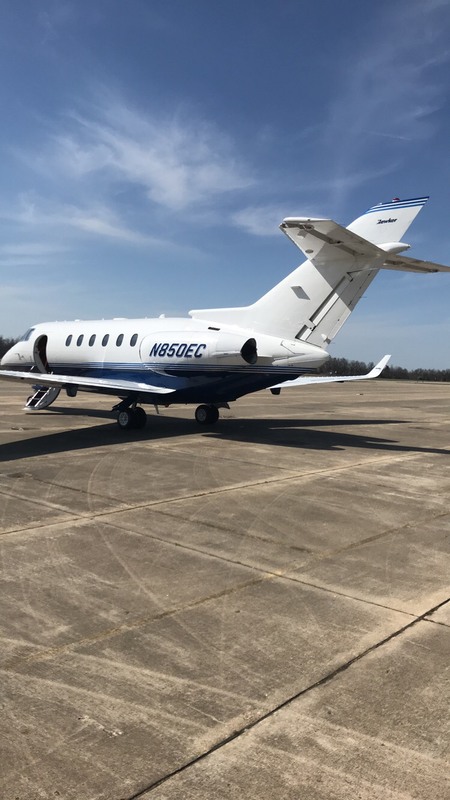 I was able to take this trip because of a project that I had been working on that involved the Line Returns at the Lebanon Plant, and findings that I had come up with to help out the World Class Quality Initiative the company was implementing at the time. I was able to give a presentation in front of a couple of the Quality Department Heads there, which gave me a large deal of experience developing my professional presentation skills. I found that I really enjoyed working on longer term projects and seeing them through, as the feeling of satisfaction that I got once an entire term’s worth of work was analyzed by the project engineers was a great feeling. This was ultimately something I thought would be incredibly satisfying to deal with as a career as a whole. The relationship that I had with the other people in my department helped to change my view on company communications and policies. Everyone in the department was friendly and approachable, and this helped to make the transition for my first professional job much easier. Everything I learned about company communication in terms of writing emails or designing presentations was from the guys in the quality group including my manager. My manager was especially helpful, as we would have meetings every other week discussing the different tasks going on, and he made sure I knew what to do in order to properly prepare for a meeting. With their help, I feel as though I have grown greatly in regards to knowing how to conduct my projects in the workplace in the future. The relationship that I had with the other co-ops at Emerson helped me to realize that I might need to adjust my course schedule to maximize my time here at Ohio State and graduate with skills that will allow me to work on what I want to in the future. I would meet for lunch everyday with about 10 to 12 other co-ops at Emerson, and we would discuss what kind of projects we were working on, or what might have been interesting from that day. It was from these discussions that I found the tasks for someone working in the project engineering department to be particularly fascinating. This is because he worked with the Data Analytics group there, and so we got into a lot of great discussions on those issues and problems they were tackling, and also how he had been able to obtain the position. It was from these talks with him that I realized a change in my curriculum was required, and so I am now working towards a minor in Computer Information Sciences, and it was all thanks to this relationship I was able to develop while working at Emerson. These changes are valuable for my life because they all help to accomplish what I set out to do with this project, which was to gain experience at an internship or co-op, and learn what I need to focus on before I start to look for a full-time job coming out of college. The many projects that I worked on at the company will benefit me when interviewing or talking to recruiters. The changes to my education plan I believe will help me to land a job that I enjoy doing and find fulfilling in the future. My enhanced knowledge of company communication will help set me up for success at any future job that I get, as I feel as though many of the lessons I learned in that regard are fairly universal to many companies around the world. Finally, thanks to STEP, I was able to get the opportunity to work for a global company and see the in-and-outs of the operation, gaining a wide variety of skills in the Quality Department, which should benefit me for many years to come as I advance my professional career. 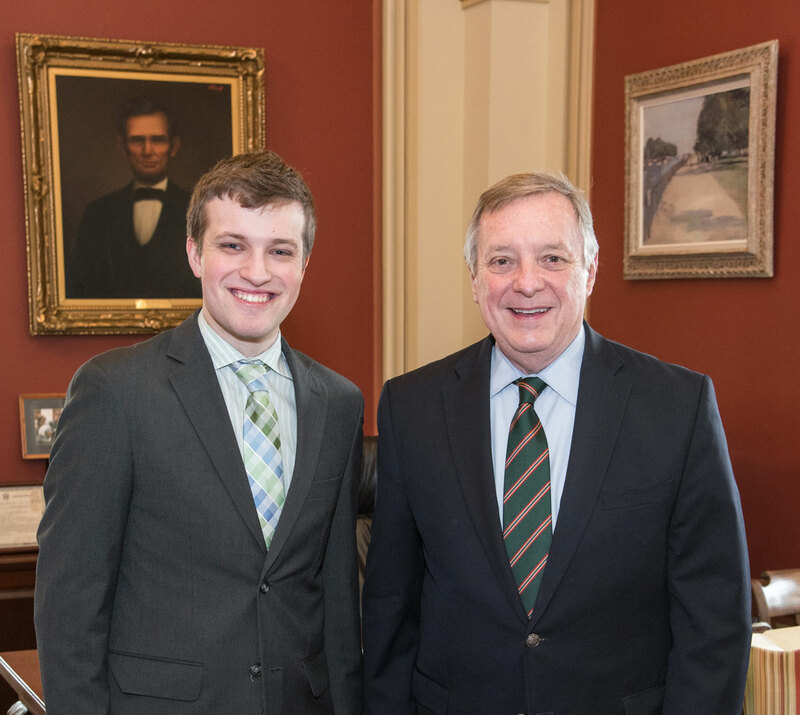 The STEP funding allowed me to pursue my dream of interning on Capitol Hill in Washington, DC. I participated in the John Glenn College of Public Affair’s Washington Academic Internship Program (WAIP) during the Spring 2018 Semester. This experience proved to be a significantly transformative opportunity for me both personally and professionally. The internship program was two-fold: we interned 36 hours a week and then we had policy salons and took 12 credits of academic requirements. 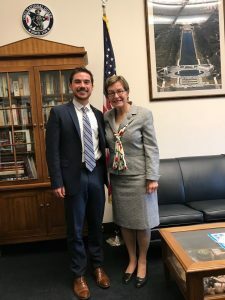 While completing WAIP, I interned for my local member of Congress, Marcy Kaptur. It was a great privilege to work in the epicenter of our democracy every day and share the endless hallways of the Capitol’s campus with some of my career idols, including Congressman John Lewis and Senator Sherrod Brown. 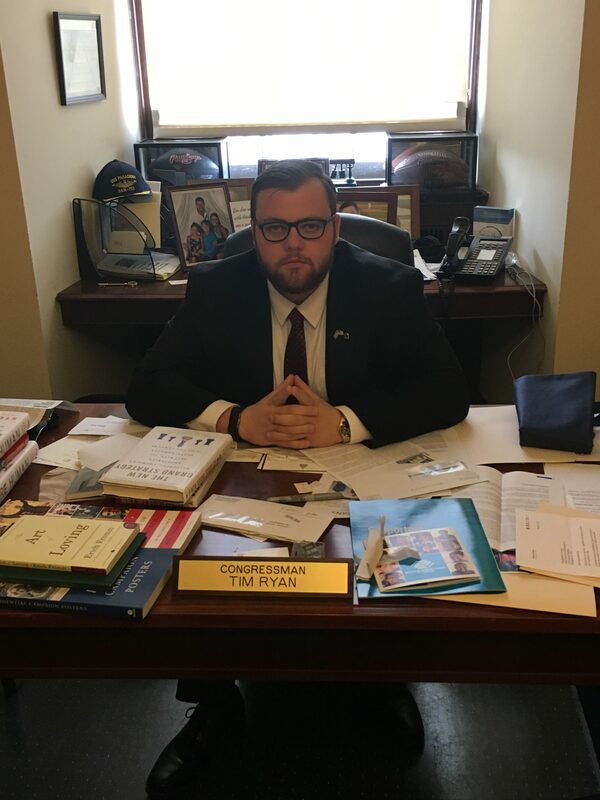 The experience of working on Capitol Hill proved to be a pivotal time in my college career and I am so grateful that STEP helped to provide me with this opportunity. My experience in Washington changed the way that I view members of the opposing political party. Before coming to DC, I would typically associate negative connotations with people that identified as conservative. While I still do see some extremely partisan individuals that way, I began to have a growing respect for members of the opposing party after I spent a few weeks interacting with their members and those member’s staff. News outlets and social media tend to gravitate towards covering only the extremely partisan members of Congress, which are in the minority of the full body. Even though my office was run by a Democrat, we would engage and partner with Republican offices on a daily basis. While the members had fundamental disagreements on core issues, they would use a mutual area of interest to their advantage and knew that their bipartisan outcry would cause more attention to solving this problem. This was an extremely important lesson because I will have to interact with supporters of other political identifications for the entirety of my career in the public sector. It was a great experience to learn how to better handle these interactions and how to grow some empathy. 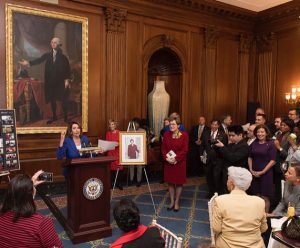 Almost everyone who devotes their life to public service deserves to be recognized for their dedication to making this country a better place to live. My coworker’s led me to this revelation at an early point of my internship. I came into the office with doubts in my mind about the rationality of working so intimately with members of the other party on many of our core issues. For example, we worked with an extremely conservative office daily on issues pertaining to Lake Erie. I was concerned about how their constant input may result in compromising what we think is for the best when it came to conserving the lake’s ecology. While my coworkers acknowledged my feelings as valid and worth noting, they also explained that residents of the lake decided to vote in this member to make decisions on their behalf and that’s something our office has to respect because our district only covers 60% of the lake’s shoreline. My coworkers challenged me to give that office the chance to succeed in my mind, which proved to be an impactful decision. By the end of my semester, I had given that other office a chance to succeed and was pleasantly surprised. While their member’s core values did not align with ours, they saw the same problems that we did and wanted to work together on preserving the lake. The work that was done between our offices made me proud as both a constituent and as a member of the team. This experience allowed me to view the opposing party as more negative and challenged me to look deeper at an office’s work that just at their political identification. The experience to live and work in Washington, DC has changed my future career outlook in a major way. Before this experience, I wasn’t sure if I could make it professionally in DC and doubted my abilities. After spending four months there, I have no doubt that I can be a professional and create great change in the world. I have learned what skills I excel in and what skills I still need to harness during my last year at Ohio State. I am very grateful for this opportunity and will use my knowledge to achieve my newly developed professional aspirations. The next step for me post-graduation is to move to DC and start working on Capitol Hill. For my STEP Signature Project, I participated in the Washington Academic Internship Program (WAIP) as a John Glenn Fellow. During my time as a John Glenn Fellow, I had the opportunity to live in Washington DC, intern on Capitol Hill, and experience many of the wonderful things the District has to offer. There are many aspects of myself and my assumptions that have changed and been transformed while completing my STEP Signature Project. The first transformation that took place was with my career goals. Coming into WAIP I had no idea what I want to do after I graduate from Ohio State. Freshman year I wanted to go to law school, but I realized that I was not planning on doing this for the right reasons. Sophomore year I wanted to go to graduate school and get my Ph.D. in Political Science and teach but realized that I did not want to be in school for that long after my undergraduate schooling. Junior year I had no idea what I wanted to do, and that is when I found WAIP. I had always had an interest in politics, so I was naturally drawn to Washington DC. After my time as a John Glenn Fellow and in WAIP I now have a plan for after my time at Ohio State. After graduating I plan on moving to Washington DC to find a job. After gaining the necessary work experience, I plan on getting my master’s in public administration. I hope to obtain this degree from Ohio State through their Online MPA program that is going to start Fall 2019. I would have never come to this decision without my time in DC, and I only had the opportunity to participate in this program because of the STEP Funding I received. During my STEP Signature Project in Washington DC my assumptions regarding graduate school, life in DC, and career path have changed. Prior to my time in our nation’s capital, I had the assumption that an individual either when to graduate school right after their undergraduate schooling or not at all. I learned that many individuals with master’s degrees in DC completed their coursework part-time a year or two after graduating. After learning this, I have decided that I will follow their lead and obtain my master’s degree after I have started working. The second assumption I held that was changed by my STEP Signature Project was regarding the District of Columbia. I assumed the District completely revolved around the Federal Government and that was it. I have learned just how wrong I was while here. 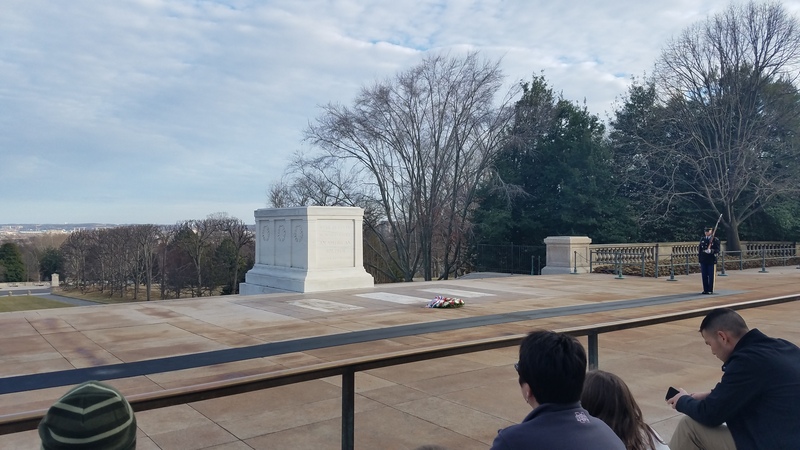 There is so much to DC outside of the government. The last assumption I held that was altered due to my STEP Signature Project was my career path. Before STEP I never saw myself working on Capitol Hill, but now I am determined that is going to be the next step in my professional life. During my STEP project, I had numerous experiences, and relationships that helped lead to the transformation that took place with regards to myself and my assumptions. The first relationship that I had the pleasure of developing during my time as a John Glenn Fellow while completing my STEP Signature Project was with my WAIP mentor, Bill Couch. Bill works in Ohio States’ Government Affairs office in Washington DC, and we got coffee numerous times throughout the semester to discuss my personal and professional goals, my questions about life in DC, and anything else that we wanted to talk about. Bill really helped me figure out what I want to do after graduating from Ohio State. He was extremely good at asking pointed questions to help me really think about what I want to do after graduation. He was the one who helped me figure out that after graduating from Ohio State in 2019, that I want to move out to Washington DC to work. He also helped reassure me that it is very common for individuals to go to graduate school online or part-time while working and not being a full-time student after undergraduate in Washington DC. The first experience that I had during my STEP Signature Project that transformed me and my assumptions was the STEP Signature Project as a whole. Living in Washington DC for a semester is something that I would have never done if it were not for STEP and my time in Washington DC has been invaluable. This experience has raised my confidence in myself, both professionally and personally, and I believe this added swagger is going to help me be successful in life. Also, being in DC helped me gain a higher level of independence and force me to be able to survive “on my own”. I placed on my own in quotes because this experience has taught me that no matter where you go there are always people nearby that are there to help you and want you to be successful. 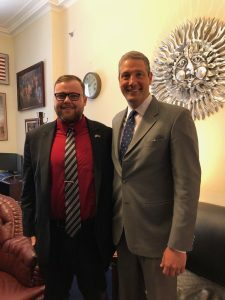 The final experience that I would like to emphasize that has helped me go through the transformational experience that I did was interning on Capitol Hill. Interning on Capitol Hill has helped me improve my problem-solving skills, learn how to network, gain real-world experience, and learn how to thrive in a new environment where I have zero experience. This experience has helped me grow into a more mature, and employable individual. The changes I have experienced because of my involvement in the Washington Academic Internship Program and STEP is extremely valuable for me. My time spent interning on Capitol Hill has not only helped me obtain a very desirable paid Government Affairs internship in Washington DC for the summer but will also make me a step above the competition when it comes time to apply for jobs after my time at Ohio State University. This experience was also very beneficial from an academic standpoint as well. 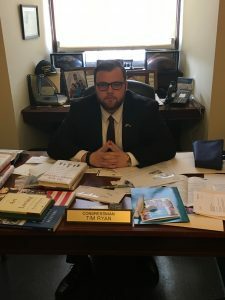 I have decided to pursue a dual-degree in Political Science and Public Affairs, which is something I had not considered prior to my time in WAIP. Overall my time in DC as a John Glenn Fellow during my STEP Signature Project has been the most impactful experience I have had in college.